Scientists have peered at the very beginning of the universe, sampling light that was emitted at the dawn of time. And the breakthrough is the consequence of a happy accident: a galaxy acted as a huge space telescope, bending light so that we could see deep into space and time. 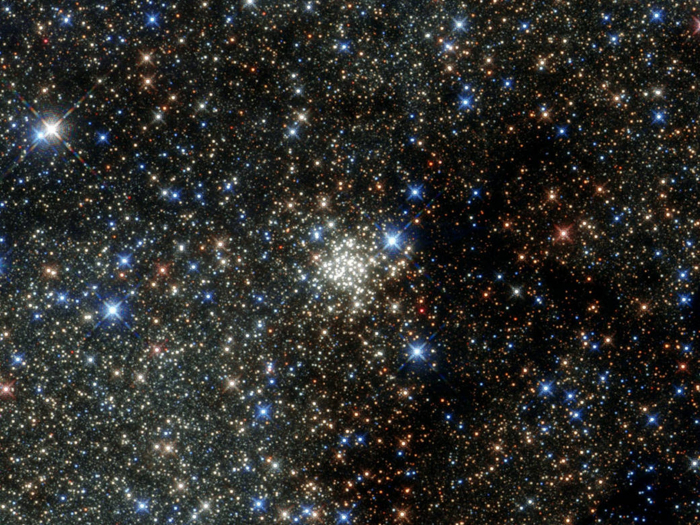 The light that reached Earth was among the first to ever twinkle on after the Big Bang. Astronomers now hope they are able to make yet more similar discoveries, allowing them to watch as the universe began. The observations allowed scientists to pick up part of an extremely distant quasar, sending out a beam of light that is almost as old as the universe itself. As the cosmos reached its billionth birthday, some of the very first light started making its long journey through the universe. It was one of those beams of light, thrown out from the quasar, that happened to pass near a galaxy that happened to bend and magnify the light, sending it towards us and allowing it to be seen today by Nasa-sponsored researchers. "If it weren't for this makeshift cosmic telescope, the quasar's light would appear about 50 times dimmer," said Xiaohui Fan of the University of Arizona, who led the study. "This discovery demonstrates that strongly gravitationally lensed quasars do exist despite the fact that we've been looking for over 20 years and not found any others this far back in time." Scientists were able to take observations of the light from the Gemini Observatory, along with data from other observatories, and understand where it had come from. "When we combined the Gemini data with observations from multiple observatories on Maunakea, the Hubble Space Telescope, and other observatories around the world, we were able to paint a complete picture of the quasar and the intervening galaxy," said Fan. The light came soon after what is known as the Epoch of Reonisation – when the very first light came about. "This is one of the first sources to shine as the Universe emerged from the cosmic dark ages," said Jinyi Yang of the University of Arizona, another member of the discovery team. "Prior to this, no stars, quasars, or galaxies had been formed, until objects like this appeared like candles in the dark." Quasars are very intense sources of energy that are fuelled by black holes, and are thought to have been around in the very first galaxies in the universe. They are so bright and distant they can offer a unique glimpse into the beginnings of the cosmos, as in this case.